Follow my journey as I travel downstream along the Kennebec River. I started my solargraph project at the summer solstice of 2014. I am grateful for my connections with people like Kim Christopher at the Inn by the River. She let me put cameras up at her inn and at the whitewater rafting campground nearby and she linked me with the people running Indian Pond Campgrounds who let me install cameras there (see yesterday’s post about Harris Station Dam). What I love most about one of the images I captured at the inn is that the cameras captured the outline of the vehicles that were parked there every day. These places in Maine provide jobs to a lot of folks: the timber harvesting industry and all its supporting businesses, the recreational industry such as inns, campgrounds, outfitters, guides, snowmobilers, fishermen. There are small manufacturers, artists, craftspeople. There are global forces who don’t see the small communities of Maine and the untouched environment as something to preserve and strengthen. The powers that be here in Maine recently allowed a contract to expire for the dam on Flagstaff Lake against the recommendation of many in the outdoor recreation and environmental preservation businesses . This decision now benefits the hydroelectric industry and gives no concern to the communities around the lake. We are also facing actions by the state government to change mining laws and clean water laws to enable more toxic waste to be dumped into our water and to destroy the landscape of Maine. 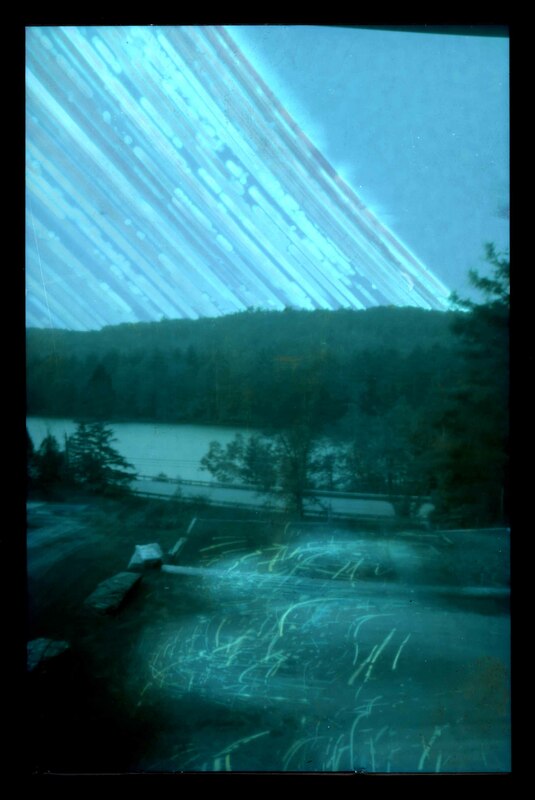 These solargraphs condense the passage of time into one image. They accelerate time and show the immediacy and importance of the challenges we are facing. Decisions made today will impact the lives of all creatures in the future.